Love can be wonderfully exciting, but also extremely painful. 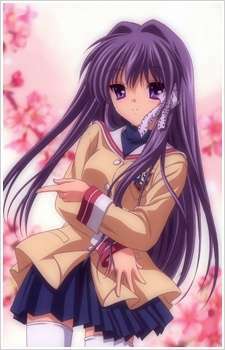 Fujibayashi Ryou, Kyou's sister, is in love with Okazaki Tomoya, the male protagonist. With the help of Kyou, Ryou manages to sum up the courage to ask him out and now Tomoya and Ryou are a couple. However, as things progress, Kyou begins to acknowledge her feelings for Tomoya, and a love-triangle is formed. As everything is revealed, the sisters learn the pains of love and try to decide between the two loves of their life: Tomoya, or each other.